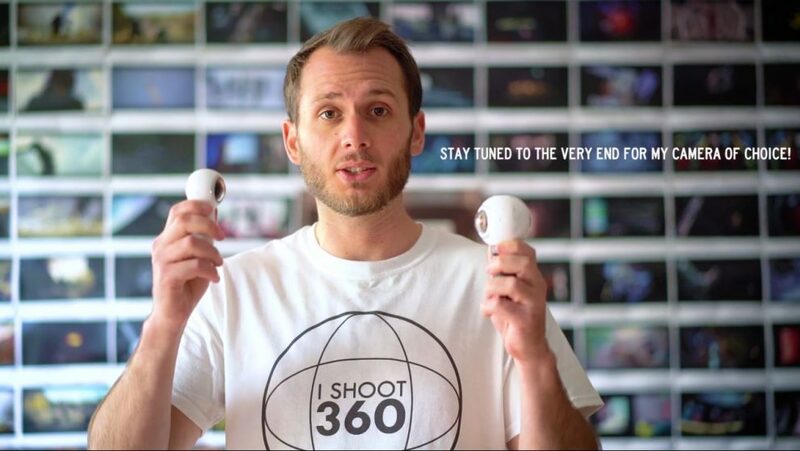 Ben Claremont (Life in 360) gives a very detailed comparison of the 2017 Samsung Gear 360 and the original Gear 360. I’ll let you know my take on these two cameras as well. The original Gear 360 is actually a very good 360 camera. Its biggest problem was poor compatibility. It worked only with high-end Samsung smartphones (S6 and above). In addition, the desktop software was for Windows only. As for me, I liked it but I have to admit I didn’t use it all that often after a while. The photos were nice but not reliable because of blurgate. I liked it well enough for videos but one thing I didn’t like was the glare (something that Ben notes in his comparison as well). As far as I can tell, the glare is a reflection of the concentric rings around the lens. It’s quite distracting, in my opinion, and very difficult to correct. And perhaps out of laziness, I found it a hassle to bring the Gear 360 around because it was not pocketable and required me to bring a bag for it. I also didn’t like how long it took to stitch the videos. The 2017 Gear 360 improved on most of these issues. The 2017 Gear 360 is now compatible with iPhones and some lower-end Samsung smartphones. There’s no blurgate and it is more resistant to overheating. It is much less susceptible to glare. It is easier to carry around because of its more ergonomic shape. The photo resolution wasn’t as high as that of the 2016 Gear 360, but it looked quite good. The video looks almost the as the original Gear 360 but doesn’t have as much glare. Stitching videos still takes a while though. Comparing the two, for many people there’s really no comparison because many don’t have a phone or PC that’s compatible with the original Gear 360, which makes the 2017 Gear 360 the only choice for them. If you do have a compatible phone and PC, I think the 2017 Gear 360 is more practical and more usable for most people. On the other hand, if you have a compatible phone and PC, you’re willing to be mindful of blurgate (and the need to keep the camera off as much as possible), the flare, and the potential for overheating, and you’re willing to manage these issues, then the original Gear 360 holds its own for video, has higher photo quality, and is the most affordable 4K 360 camera at well under $200 (based on street prices instead of MSRP). In any case, if you’re considering either of these cameras, I also recommend looking at the Xiaomi Mi Sphere. It is better for photos because of the exposure controls and 32-second shutter speed. It is better for videos because of the image stabilization, and in my opinion, the image quality as well. The only downsides are the lack of desktop software and the steep requirement for smartphones (Snapdragon 820 and above). You can see my comparison of the Xiaomi and the 2017 Gear 360 here. – The 2017 Gear 360 is available from Amazon or B&H Photo. – The original Gear 360 is available from Amazon or B&H Photo. – The Xiaomi Mi Sphere is available from GearBest (they ship to 260+ countries). Incidentally, Ben actually also got the Xiaomi recently (see his unboxing here). I’m looking forward to what he thinks of the Xiaomi and how it compares to the 2017 Gear 360. Xiaomi Mijia Mi Sphere 360 improves app, adds image stabilization and it’s amazing! See the video!